Happy Saturday!! Royal subjects are we ready for another SoSS challenge??? I thought we might be...so let's get to it!! 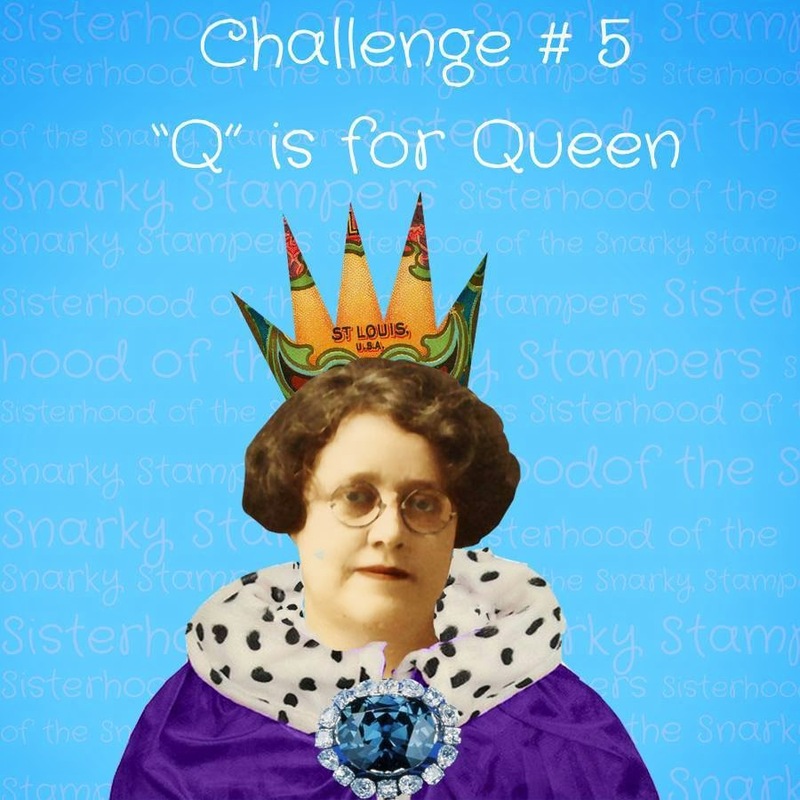 This week's challenge is Q if for Queen so break out your tiara, sit down with a cuppa and let's see what you come up with! 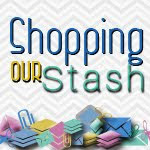 Be sure to visit the SoSS blog for all the details on this challenge and to show the Snarky Sisters some crafty love. I started with a random picture of HRH that I found online, fiddled with the colour of it a bit, printed and layered it on cardstock then cut it out. I am particularly proud of myself for using a stamp set that has been in my possession for only a few days!! YAY ME!!! 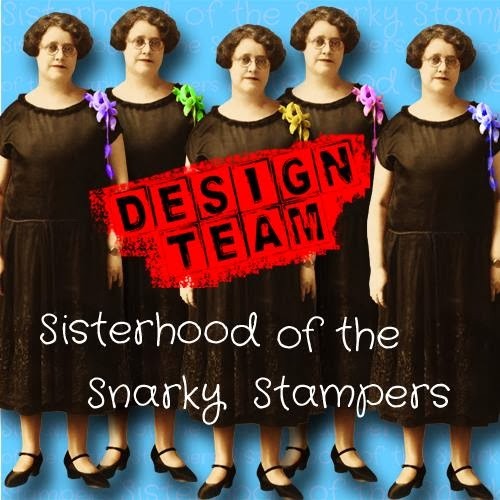 Want to join the snarky sisterhood?? You have until 11:55 PM (EST) on Friday April 18th to upload your project to the SoSS blog. 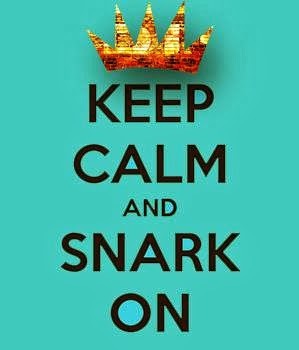 Maybe YOU will be our next Queen of Snark!! Love everything about your card, Donna! That image is PERFECT along with that snarky sentiment! That looks a lot like the portrait of HRH that used to hang in my Grade 1 classroom! :P This is such an awesome card, Donna, perfect! super card Donna, love the sentiment and it is a lovely picture of HRH. I think we should all sit around being fabulous as the peasants keep our wine glasses filled. You tweaked the image of the Queen quite nicely. Fabulous indeed! Great card and I have that stamp set. Donna - THIS is fantastic! 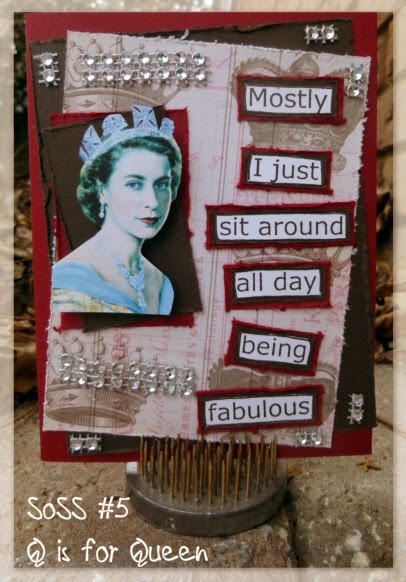 I want this card...GRIN, especially since there is such a strong resemblance between Queen Elizabeth II and Me wearing a crown! Love the saying...so very queenly! Tell you parents I think the Queen would love your card, it too is fabulous!! Great card, defaced Queen or not (that's not really defaced, it' not like you drew a mustache on her or something). All that nice bling is definitely befitting a queen.